The outputs can be easily connected to an analogue video monitor or deck devices such as BataCAM and VHS. The DAC-50S down scales the signal for the analogue output. The DAC-50S also provides an SDI Loop-thru output. It further outputs one pair of analogue audio channels selected from 16 de-embedded SDI audio channels (Selection is determined by DIP switch settings). The DAC-50S is housed in a rugged aluminum frame, making it durable enough to endure the roughest conditions. 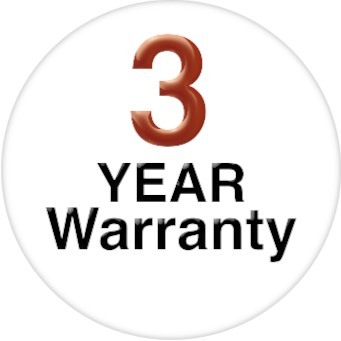 (*) All Datavideo products purchased after July 1st, 2017 qualify for a free two year extension to the standard warranty, providing the product is registered with Datavideo within 30 days of purchase. Ideal for use with RMK-2 (Rackmount kit) and also MB-4 Battery holder. Why not buy this Datavideo DAC-50S SDI to Analogue Converter today?